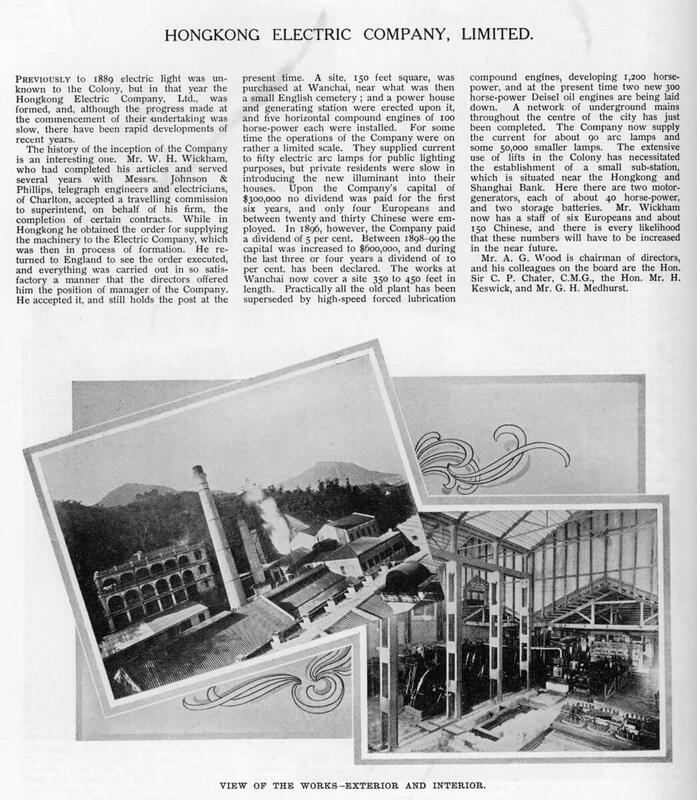 IDJ has sent this article about the Hongkong Electric Company, Ltd which was published in 1908. It outlines the formation of the company in 1889 and the opening of Hong Kong’s first power station in Star Street, Wanchai in 1890. This generating station closed in 1920 and was demolished in 1922.